Looks like not facing the Grammys was not enough to offset the Pro Bowl’s move to ESPN. 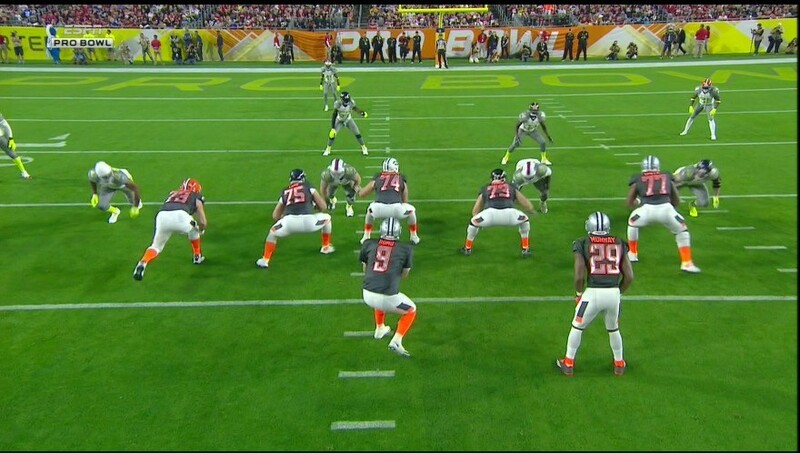 The Pro Bowl earned a 5.6 overnight rating last night vs last year’s 6.7 overnight household rating. Last year the Pro Bowl went head-to-head with the Grammy Awards but the game aired on NBC. @AustinKarp of SBJ reports this is way below the 7.9 ESPN drew in 2010 and the lowers since CBS garnered a 5.1 in 2007 when the game was on a Saturday night *after* the Super Bowl. Example: a 21 household rating with a 40% share means that on average 21% of all the households (in those 56 markets) were tuned-in and that 40% of the households watching TV at the time were tuned-in.